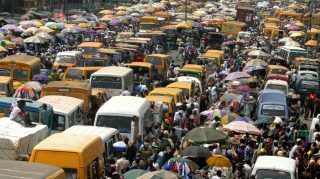 In comparison with other cities in the world, it has become considerably cheap for expatriates to live in Nigeria’s commercial capital, Lagos. The latest survey by the Economist Intelligence Unit ranks the city sixth on the list of ten cheapest cities in the world. The Worldwide Cost of Living survey compares several individual costs of 160 products and services across 133 cities. Some of these items include food, clothing, household supplies, home rents, transport, utility bills and recreational costs. Costs in the cheapest cities were low by Western standards, partly because of low wages which limit household spending, the London-based Economist noted. Factors like inflation and currency devaluation were used in determining the cost of living and many cities fell in ranking due to dwindling economies, weakened currency or falling local prices. Cities like Karachi in Pakistan, Tashkent in Uzbekistan, Almaty in Kazakhstan and Lagos have faced economic, political, security and infrastructural challenges. “After five consecutive years of decline, oil prices bottomed out in 2016 and rebounded in 2017 and 2018, along with other commodity prices. At the very basic level, this will have an impact on prices, especially in markets where basic goods make up the bulk of the shopping basket. But there are further implications,” the report said. It also added that a growing number of locations were becoming cheaper because of the impact of political or economic disruption. Among these are crisis-hit Caracas in Venezuela and war-ravaged Damascus in Syria, which are at the bottom of the list. Of the ten least expensive cities for expats, Caracas displaces Damascus as the cheapest, with the latter coming second. Tashkent, Almaty and Bangalore (India) follow in third, fourth and fifth position respectively. Karachi and Lagos occupy the sixth position. While Buenos Aires (Argentina) and Chennai (India) share the seventh position, with New Delhi (India) eighth on the list. The survey also listed the top 10 most expensive cities in the world to live in, with Asia and Europe dominating the top 10 list. Singapore, which topped the list for five consecutive years, maintains its position but is forced to share with Asian neighbour Hong Kong and Paris (France). It is the first time three cities will share the top spot in the history of the survey. They are followed by Zurich (Switzerland) fourth; Geneva (Switzerland) and Osaka (Japan) fifth; Seoul (South Korea), Copenhagen (Denmark) and New York (US) occupy the seventh position while Tel Aviv (Israel) and Los Angeles (U.S.) share the 10th position. The annual index is usually used by companies to help calculate cost-of-living allowances and build compensation packages for expatriates and business travellers.